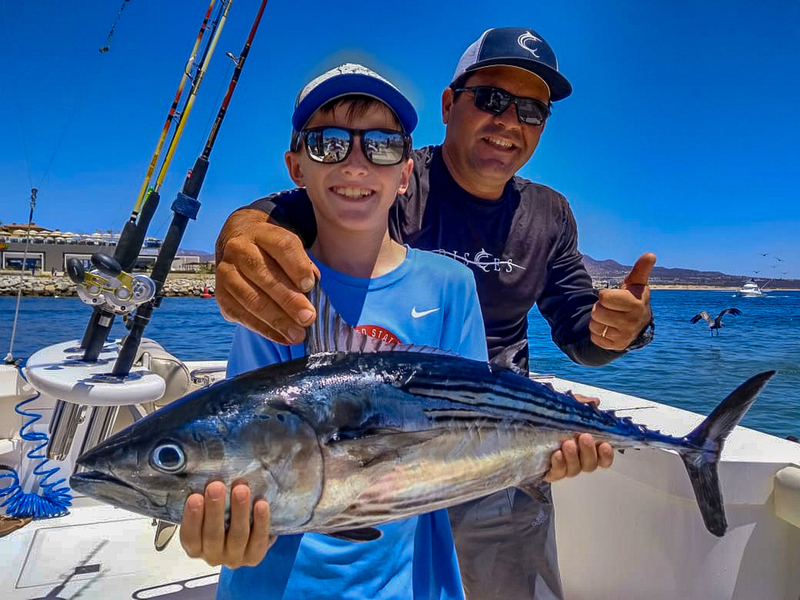 While the bluefin dazzle in northern Baja waters, the grouper, snapper and cabrilla are the hot ticket when the winds back off in the upper Sea of Cortez. Baja Sur seems to be giving one more taste of “slow” before the springtime “go” gets here. Plenty of billfish and tuna around the tip — as are the funky currents and off-color water that seems to be shutting off the bite. 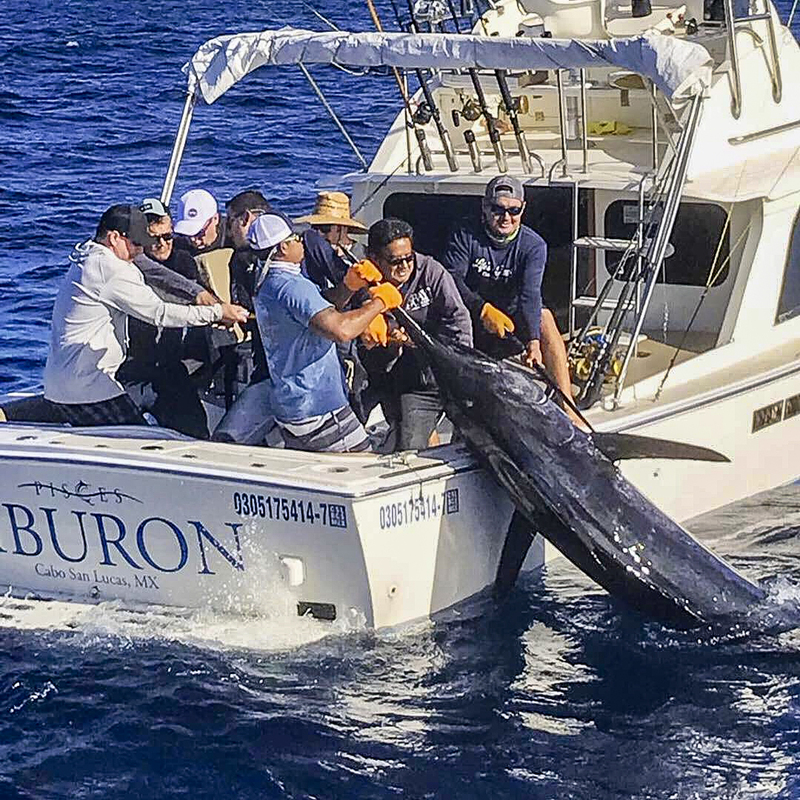 On April 14, 2019, an “out of season” blue marlin took everybody by surprise – but most of the record fish are lone catches, caught in winter and spring. Dennis Poudel V.P of Top Shelf Disc Supply along with Mark Molnar, Sam Ferrans, and Curtis Paul who are his clients at Innova Disc Golf, they are from Long Beach, Napa Fontana and Rancho Cucamonga in Calif., headed out on the Pisces 31-foot Bertram, “Tiburon,” in search of tuna; a tall order seeing as fishing has been on the slow side! However, Captain Rosendo Gomez and deckhand Salvador Flores delivered the goods! 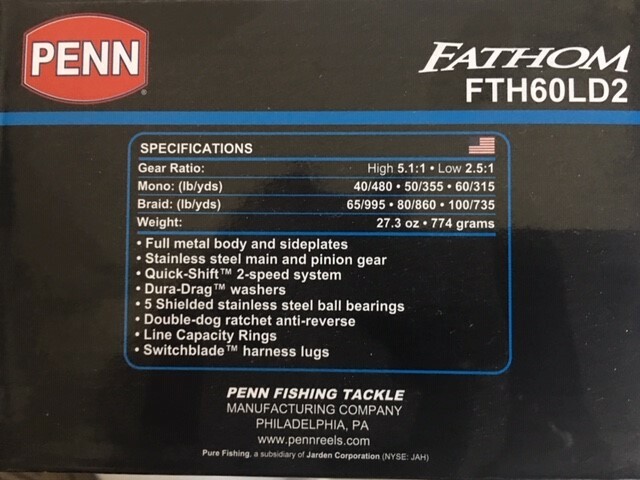 Soon they had the anglers into a school of fair-sized tuna, and at one stage, they had seven hooked up at that same time; and they managed to bring them all to the boat. After which, they decided that it was probably time to call it a day, but Captain Rosendo suggested they troll for marlin. Thirty minutes later, and without even noticing that it had been hooked, it swallowed a green lure that was also being trolled! The line with the ballyhoo broke after it spooled the angler! 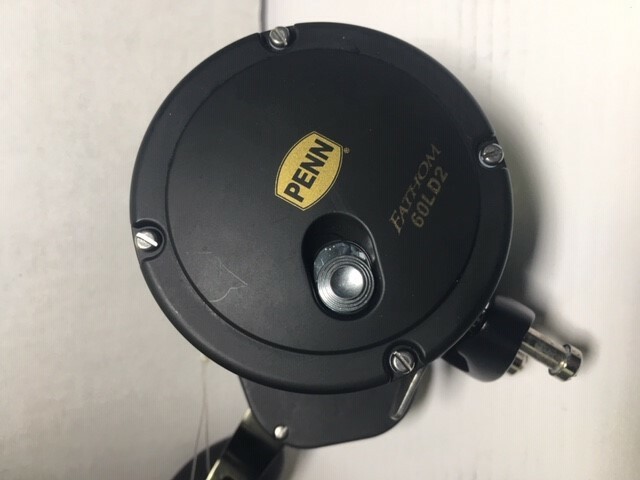 The battle ensued with each angler taking a turn at the reel until they tired. At first, they thought the fish was around 300 pounds, but twice they had it up to the leader and then they realized that their first calculation was wrong — way wrong! The fishermen rotated once again on the fish, and they were now at the four-and-a-half-hour mark. Despite the captain’s best efforts, this was not going be easy. 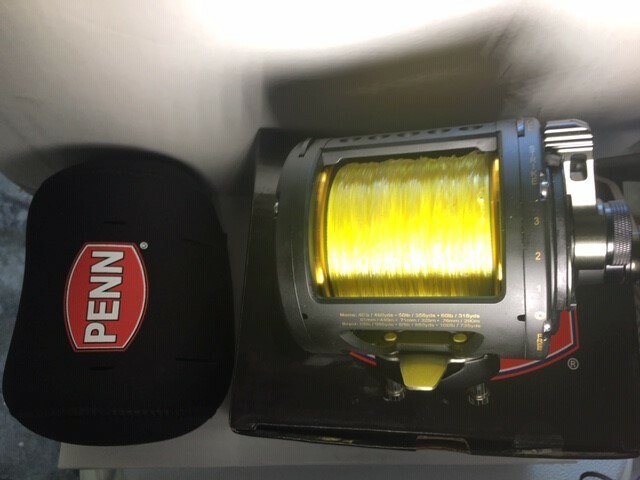 They were rigged for smaller tuna and striped marlin and had the fish on a Penn International 50 with a 200# leader. It was shortly after the four-and-a-half-hour mark that they realized the fish had died. It had become impossible to budge, and they now had a dead weight on the end of the line in the depths of the sea. No, this was hard work and the crew set about helping to bring the fish up. After another two hours, they had it alongside the boat. There was no way it would fit on the swim-step; and being a standard 31-foot Bertram, there was no transom door to slide the fish into the cockpit. They communicated their problem to Pisces ashore who dispatched help by way of “La Brisa” and her crew, but even with the extra manpower making it a total of four anglers and four crew, they found it impossible to hoist the monster fish, that had grown in estimation every hour, into the boat. Then “Reels N Dirt,” a 66-foot Viking, the latest addition to the Pisces Fleet, came cruising by. Upon realizing that help was needed and with the help of the owner, crew, and veterans on board, they easily loaded the monster fish through the transom door into the large cockpit of the “Reels N Dirt,” which still could not entirely contain the fish, leaving its tail sticking out the back. Shortly afterward, the fish arrived at port where a sizable crowd gathered and appeared on the nearby hotel balconies. With a rope tied around the fish’s tail, it was dropped into the water at the Marina Fundadores dock, as soon as the winch was attached. As the fish was raised tail-first from the water, a 30-pound dorado dropped out of its mouth, along with the fish’s stomach. The electric winch strained as it pulled the blue up out of the water, and then, it burned out! 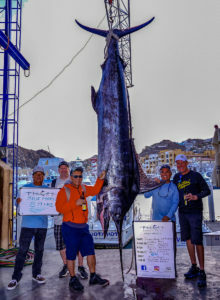 But not before the scale registered 814-pounds, making it the largest fish seen in several years. Curtis Paul said it was a day of firsts: “First time we have hooked one fish on two lines: first time we have had seven tuna on at one time: first time reinforcements had to be sent; first time we caught an 814-pound fish!”. 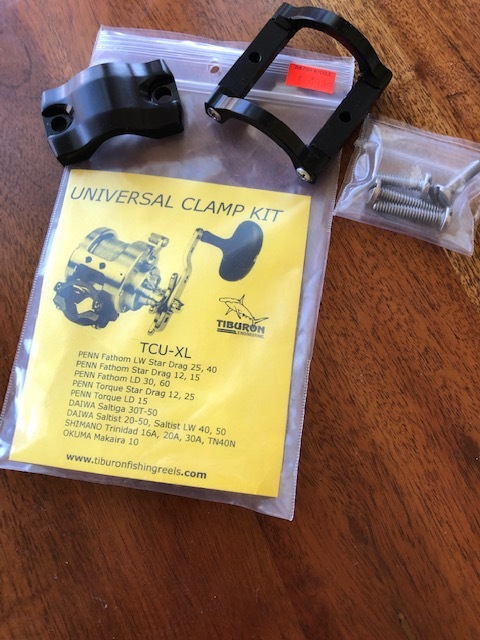 The anglers were all very complimentary and were especially impressed of how first “La Brisa” came to help, and then how “Reels N Dirt” also came to their aid. The stuff down around the is Bull Ring is just the little “junk” rockfish under one pound, but there is still a lot of bait in the area. There are a lot of 8- to 15-pound class yellowtail around right now. The boats, both the sport boats and the private boats are making some very big scores. Along with all the yellowtail, there are some very impressive bonito running around. While most are big quality in the 6- to 10-pound class, there have been some truly huge ones up in the 12 to 15- or 16-pound class. Several private boaters reported scoring full limits of yellowtail. Still, quite a few yellows around the Rockpile coming off sonar marks but more are beginning to filter into the Islands proper. Quite a few are now being caught in the Ribbon Kelp area, Middle Grounds, the weather side of North Island and the Rockfish area just to the north and northeast of North Island. The bottom line is that there are yellows all around the Islands right now. As for tactics and bait, none of that has changed. Several boats located the bluefin a bit farther south than they were before. The current zone is around the 1140 Finger to the Lower 500. The bluefin yesterday were caught mostly on fly line sardines on 40- to no more than 50-pound fluorocarbon and a 3/0 ringed circle hook and ranged from about 35 up to 160-pounds. Most of the tuna that were caught fell into the 40- to 60-pound class. As you can imagine there were a lot of big units lost due to such light line. In addition to the bluefin, there are a few kelps around with yellowtail on them. These are mainly out west of Ensenada down to the 238. Also not in the counts much, but it is happening that the boats are getting random jig stops of huge 10- to 12-pound bonito. 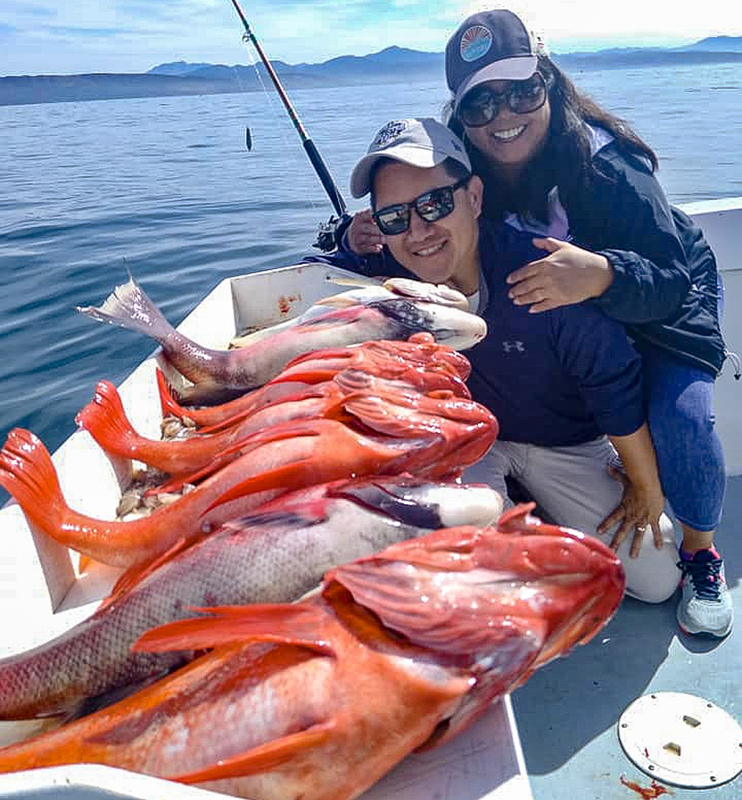 Great weather, plenty of reds and a mix of goats and other things “squirmy” made for a fun family day according to Sammy Susarrey Amador. A few boats did manage a handful of yellowtail this week even though it looks like it is spawning time. Most of the other typically-caught species are cooperating while the yellowtail are “busy,” focused on other matters, etc.! 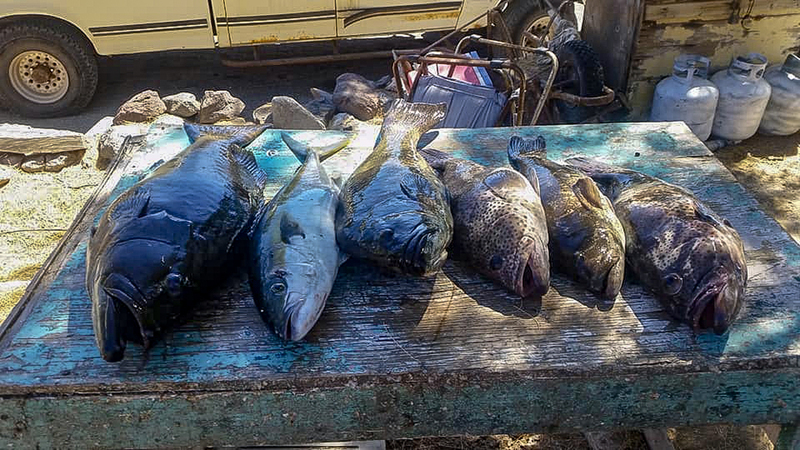 Cabrilla, pintos, and pargo have all stepped up to the plate although most aren’t worth bragging about and cabrilla, pargo, and triggers all fell victim around Danzante and up at Punta Colorado. Live bait or at least chumming with live bait, was greeted with looks of insult by the shallow ‘tails. I thought that throwing free food at the “under-employed” fish would be appreciated. You learn something new every day! Chuy on “the rude baby 1:” So nice to see familiar faces having fun with us — at Van Wormer Resorts. Weather patterns were typical for early springtime. We felt crazy cool low temperatures later in the week, (actually down to 52 degrees). This was before the sun came up and mid-day high temperatures reached the upper 80s. Winds were a bit unpredictable. Most mornings were calmer, however, but we did see some afternoon and evening wind gusts to 20-mph plus. Ocean water temperature was in the 71- to 74-degree range; clarity was a bit greenish closer to shore due to stirred up windy afternoon conditions. Various baitfish were available, including moonfish, caballito, limited sardina and some ballyhoo and slabs of squid. Anglers were also catching a variety of species while using yo-yo style jigs. One nice wahoo was hooked into on a blue/white yo-yo off the Iman Bank; though we did not hear of any other wahoo taken. Dorado were not found this week, and only a handful of yellowfin tuna were reported. Most of these were from La Fortuna to San Luis, ranging to 50-pounds but very few were landed, even though on some days they were seen breezing on the surface. 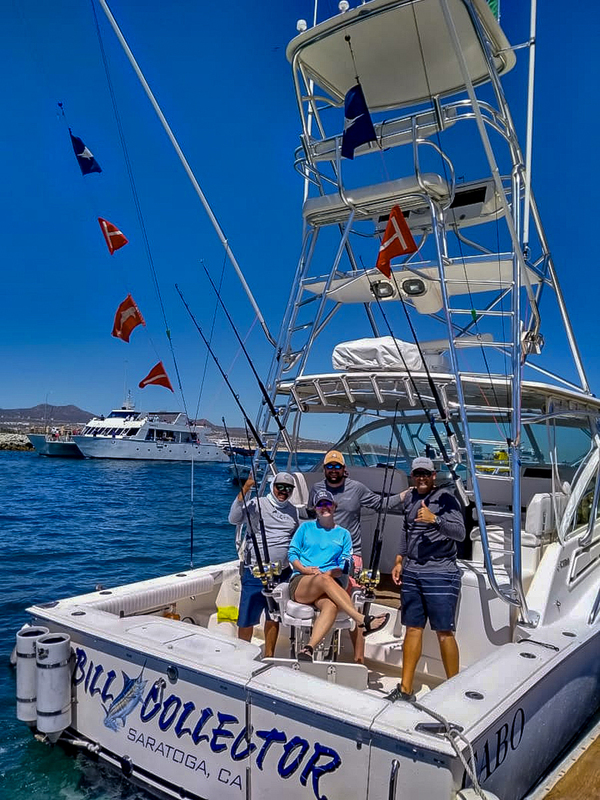 Billfish action was not happening much either, at least off of the local San Jose del Cabo grounds; some striped marlin were spotted, but they were not interested in any offerings. Increased numbers of sea lions were noticed on the local high spots, making it difficult to land fish at times. The most consistent action now was working the various rock piles, from Palmilla Point, Red Hill, Gordo Banks, Cardon, La Fortuna, Iman, and San Luis. A mix of great eating species were found, mostly the Eastern Pacific bonito, along with the red snapper, amberjack, leopard grouper, and a few broomtail grouper. One amberjack of 70-pounds was caught, though others were in the 15- to 30-pound range. Most of this bottom action was found while using the yo-yo jigs, some on whole and some on cut baits. Numbers at a glance: Billfish 23%, tuna 19%, dorado 4%, other species 41%. Pisces 28-foot “Andrea” caught and released three striped marlin at the beginning of the week, between Golden Gate and Migrino on mackerel bait. They also landed a nice 30-pound yellowtail on mackerel there. Anglers were John Craegn and Mike Hoback from Seattle. Another Pisces 28-foot vessel, the “Adriana” also released two striped marlin at Golden gate, using mackerel. The marlin were about 100 and 140 pounds each, for anglers Kim and Danny Schnaubert from Texas. 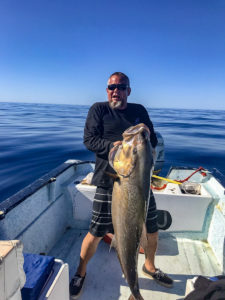 Later in the week, the “Adriana” targeted grouper and landed two of them weighing about 15-pounds each on mackerel at Golden Gate and Migrino. Big Yellowtail on Pisces 28′-foot “Andrea” Pisces 42-foot “Caliente,” one of the top boats this week, did well to release three striped marlin of about 100-pounds each on mackerel at Golden Gate. Anglers were Kevin Kelly and Jordan and Racheal Connor. Later in the week, Caliente would have an outstanding day with three red snapper caught at Migrino on mackerel and one 25-pound yellowtail at Migrino. Another ten huachinango and they would call it a day. 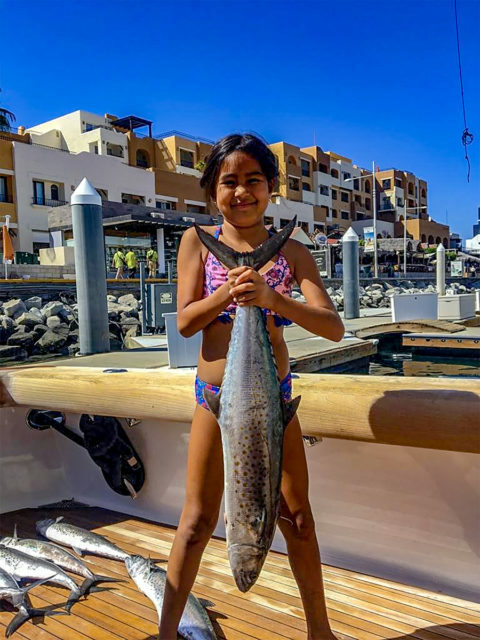 And on another day, it was three bonito on Pisces 42-foot Caliente, which hit on feathers at Migrino along with a 20-pound yellowtail which hit on mackerel. One mako shark of about 50-pounds was also released at Golden Gate. 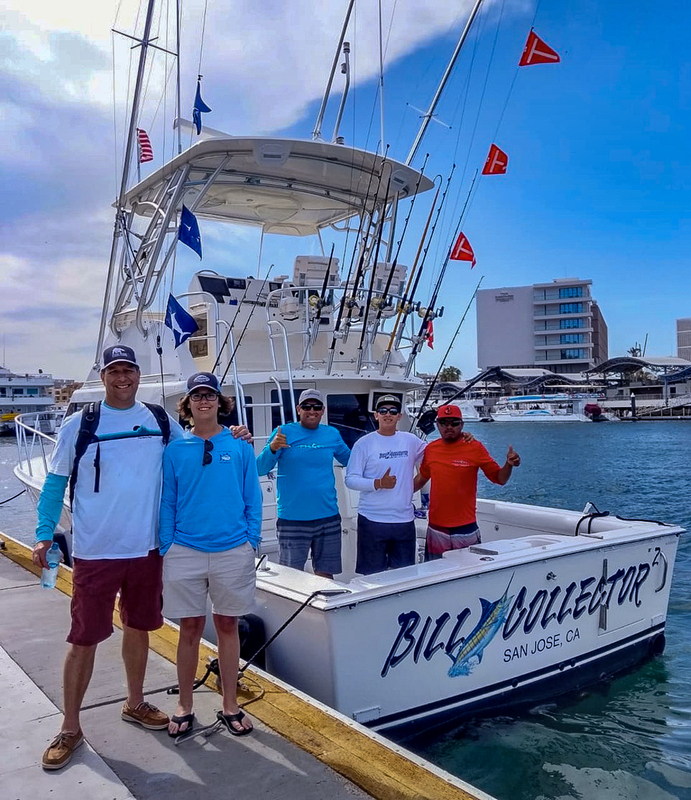 The brand new to our fleet, Pisces 35-foot “Bill Collector 2,” a Cabo Express model, debuted successfully this week, with anglers James Barret, Jr. and Sr. doing well to catch and release three striped marlin weighing approx. 90 to 140-pounds each at Golden Gate, releasing a mako shark there on mackerel bait as well. Then they headed to the shoreline of Golden Gate for a nice grouper, weighing about 20-pounds. Pisces 32’ “Bill Collector” had a very similar catch this week to, with two striped marlin released, also at Golden Gate on mackerel bait; this time the fish weighed between 90 and 120-pounds each. They caught a mako shark there also. For tuna catches we saw Pisces 31-foot “Tracy Ann” and anglers from Apple Valley, Minnesota catch four skipjack on cedar plugs at La Herradura. 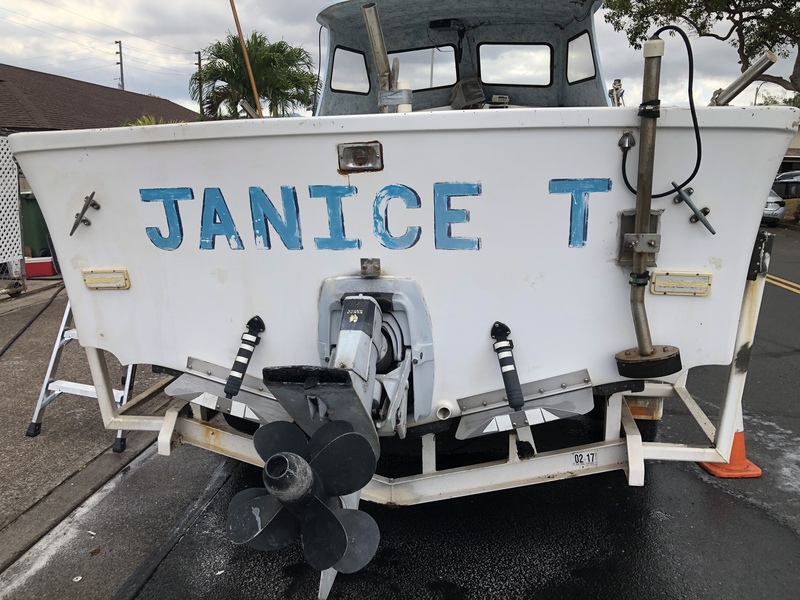 Pisces 38-foot “C Rod” also caught four skipjack, finding luck on hoochies at the Old Lighthouse and then heading to Los Arcos for red snapper and other small game. Anglers the Barrett and Hard families caught ten triggerfish, four red snapper, four bonito and two sierra mackerel there on hoochies. They also caught about 15 pompano, releasing many. As if this wasn’t enough, they also caught a small red snapper mackerel bait. April 12th was another productive day for Pisces 38-foot “C Rod,” with a 15-pound dorado caught on a feather lure. The crew targeted tuna mainly, but of course couldn’t turn down the nice dorado when it hit. They pulled out the kite and successfully landed 15 yellowfin, between 10- and 25-pounds all at Golden Gate, for angler Angelo Abela who came from Queensland, Australia. Pisces 35-foot “Knot Workin’” also caught a few tuna the next day, five yellowfin in total, all about 20-pounds caught on cedar plugs, feathers and hoochies at the 180 Spot. 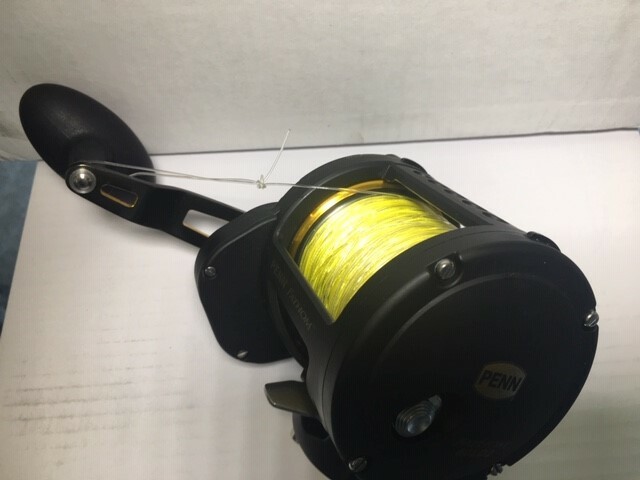 Later in the week, Pisces 35-foot “Knot Workin’” headed for small game, landing two sierra mackerel on hoochies at La Bomba and two bonito at the Old Lighthouse. Pisces 35-foot “Valerie” closed out the week with six sierra mackerel caught on hoochies close to shore at the Golden Gate area and also caught one bonito on hoochies. Cabo Climate: The two-week forecast is for mostly sunny to partly cloudy skies with zero chance of rain forecast through late April. Winds are expected to continue in the low teens in the 9- to 14-mph range late April mostly out of the West and SW. Favorite Baits: Slow trolling live mackerel was the favorite for the marlin. Cedar plugs were the favorite for the yellowfin along with feathers. Hoochies were by far the preferred and most productive lures for the sierra. Poppers near the surf were the most successful bait for jack and roosterfish. Dead bait was the ticket for snapper and grouper. 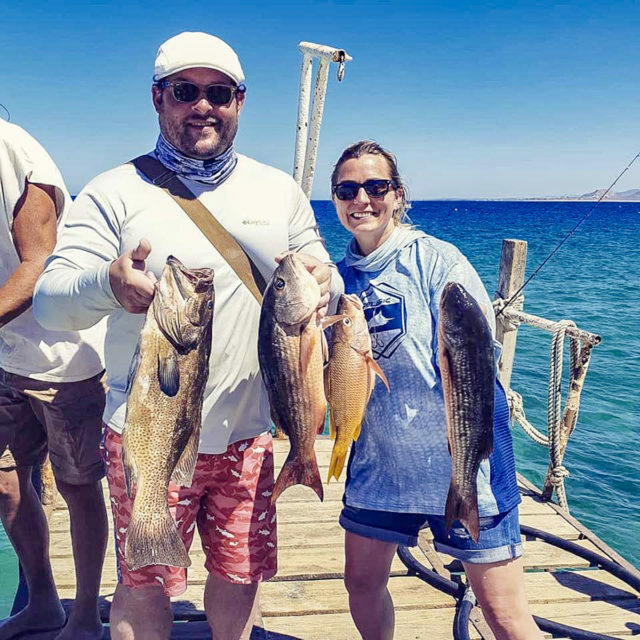 Live caballito were the best for the yellowtail. 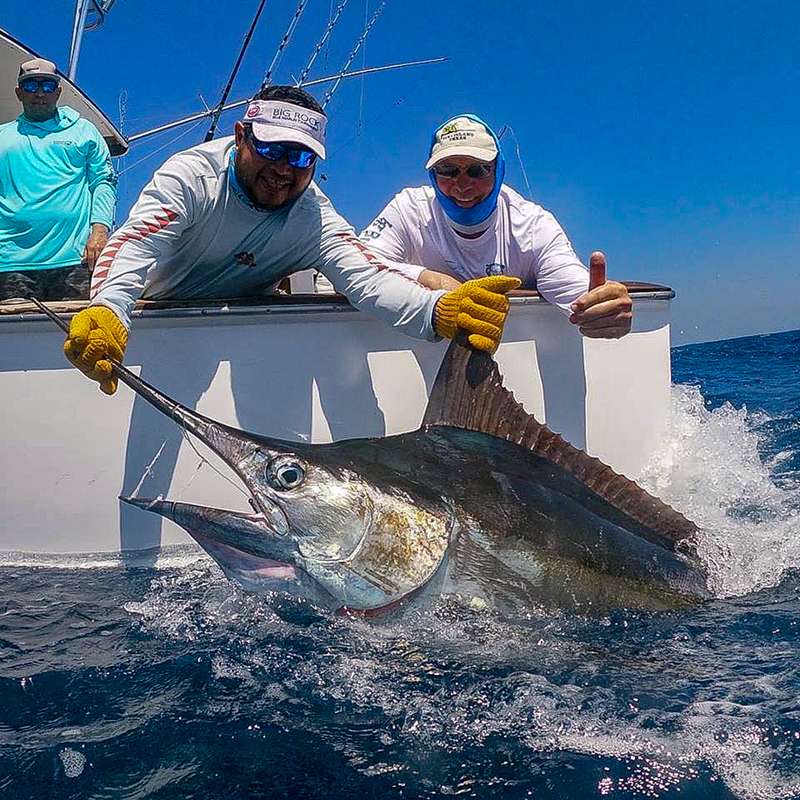 Spring weather and warmer water temperatures brought solid fishing with the yellowfin again adding to the success of their offshore fishing, and the striped marlin are seasonally out-numbering the sailfish for which Mazatlán is known. 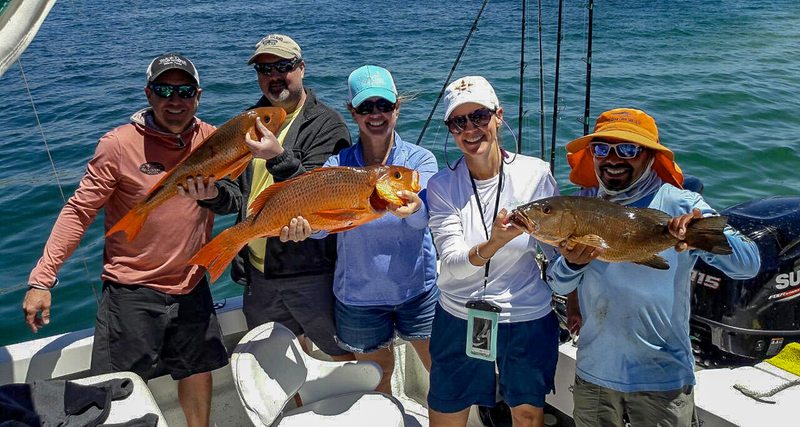 Their inshore fishing produced exceptional results. The offshore boats reported a mix of striped marlin, sailfish, and yellowfin tuna. The yellowfin tuna were a bit farther out than the prime marlin billfish bite. The inshore boats had another big week and reported excellent action on snapper, sea bass, triggerfish and corbina whether on four-hour or six-hour trips. Climate: The forecast through late April is for mostly sunny with a few partly cloudy skies with breezes in a modest 10- to 12-mph range primarily out of the West trending toward the SW later in April. Humidity is predicted to be in the mid-60s going into late April for very pleasant fishing conditions. 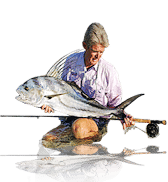 Sea Conditions: The water is warming a bit and is now in the 74-to 75-degree range resulting in a seasonal showing of the striped marlin and more yellowfin tuna. On longer runs out to 25 miles and beyond, they are finding 76-degree water. The future outlook is for relatively calm seas in the mornings with some afternoon swells and chop as the winds pick up in the afternoons. 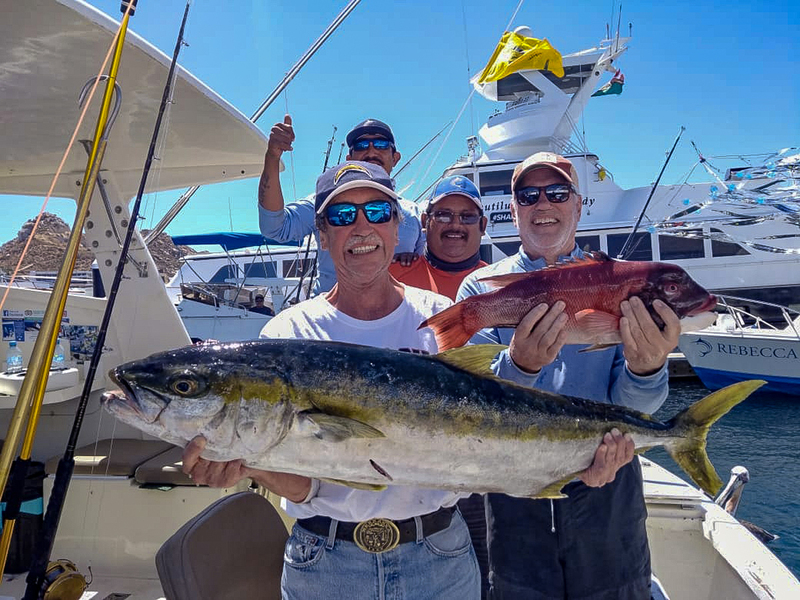 Best Fishing Area: The offshore bite for the billfish is starting about 12- to 15-miles out with best results to the west and southwest of the Marina El Cid. The yellowfin are being found a bit farther out toward the 20- to 25-mile mark. Inshore, the Super Pangas are finding success all along the coast especially around the rocks. A fantastic week with very few anglers around to take advantage of it! The independent fleet reported a great bite on the striped marlin with most boats raising six to eight fish per day. As always, there was the normal sailfish mix, and a few smaller blue marlin reported. The yellowfin were found way out at the 30- to 35- to 40-mile mark for those willing to go the extra distance. The dorado were spotty this past week. Fly-fishing and spinning rigs for jacks, chulas (false albacore) and bonitos inshore has continued to be steady. Rooster action this past week was spotty but still successful. Large schools of quality jacks were reported off the white rocks. Fishing activity was slow as few anglers took advantage of the fabulous billfish action. Hopefully, the striped marlin holds up for the coming two-week Semana Santa holiday. IZ Climate: Headed into the spring climate with a mix of mostly sunny to partly cloudy days and the outlook is for even warmer temps and mostly sunny skies. Daily temps are predicted in the upper 80s and nighttime temps in the low to mid-70s with humidity expected to run in the 70s through late April. They are now in their dry season, and there is no precipitation projected over the couple of weeks. The winds are expected to be relatively mild in the 8- to 11-mph range primarily from the West and WSW. 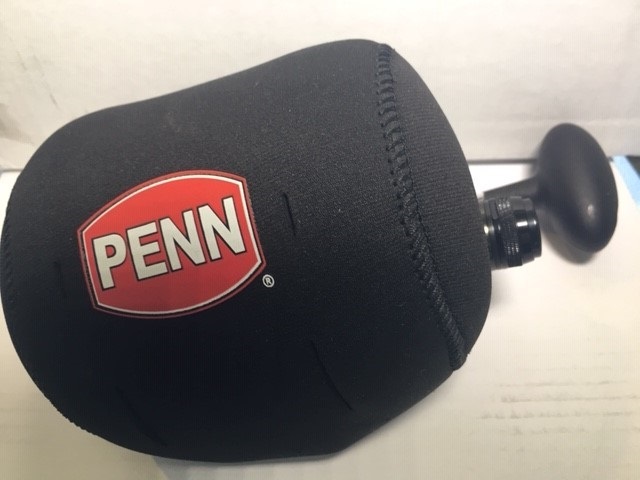 Sea Conditions: The spring offshore water temperature stabilized and is now in the 83 degrees range from the 5- to 6-mile mark at the 100-fathom line out to the 1,000-Fathom line at 30-32 miles. These temps are beginning to bring in the blue marlin and yellowfin in larger numbers. Inshore temperatures have warmed a bit and are now at 80-81. The offshore clear blue water has recently moved as close as 5-6 miles out with some very deep blue water now out beyond the 1000 fathom mark at 32-35 miles out. Inshore, the water was a bit off color this past week which was very good for the top water action. With breezes in the upper single digits, the seas are very calm, particularly in the mornings.